The V4073A Valve has been designed to control the flow of water in domestic central heating systems, where both radiator and hot water cylinder circuits are pumped. It is typically suited for small to medium sized installations. 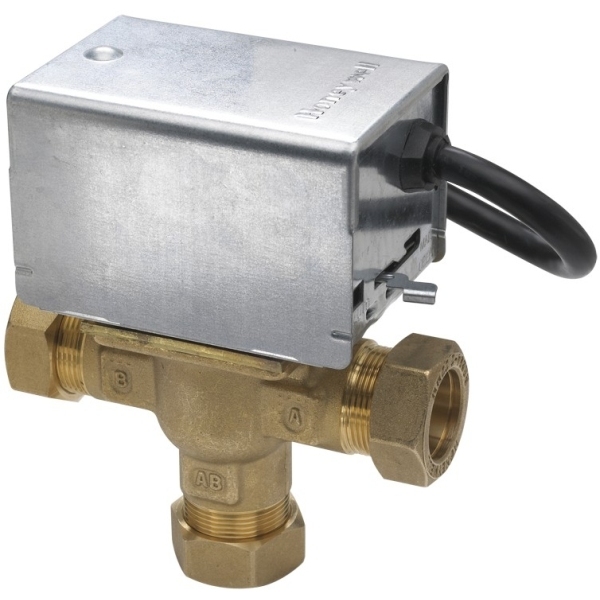 The V4073A Mid-position Diverter Valve should be used in conjunction with a room thermostat and cylinder thermostat to provide full temperature control of a conventional, fully pumped central heating installation. When used in this way, the control system is known as Sundial Y Plan and the components can be connected together using the Sundial Plan Wiring Centre which has dedicated terminations and there is no need for a wiring diagram. An alternative method of wiring is to use the Honeywell 10-way Junction Box (42002116-002) together with the Honeywell Sundial Plans Wiring Booklet.